Glary Undelete is a free file undelete solution for FAT & NTFS file systems. 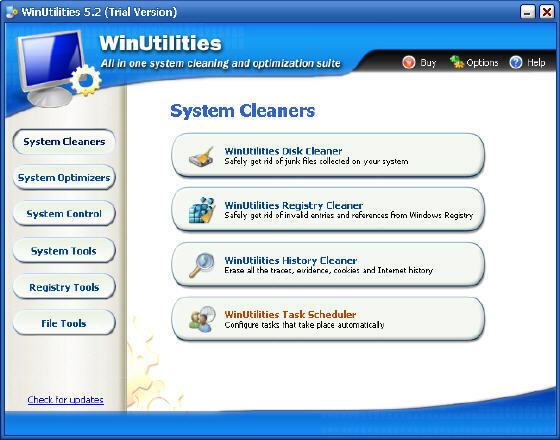 Absolute Uninstaller can uninstall your unwanted applications completely. Close (hide or minimize) and open multiple programs with the click of a button! DiskPulse is a free and easy-to-use disk change monitor utility. A small program that allows you to control the power state of your pc. boost Internet, tweak Windows to its peak performance. Top Process Monitor is simple Sidebar gadget shows the top processes on your PC. Recuva is a freeware data recovery program to recover deleted and marked files. Application virtualization system for Windows. Allows embed files and registry.